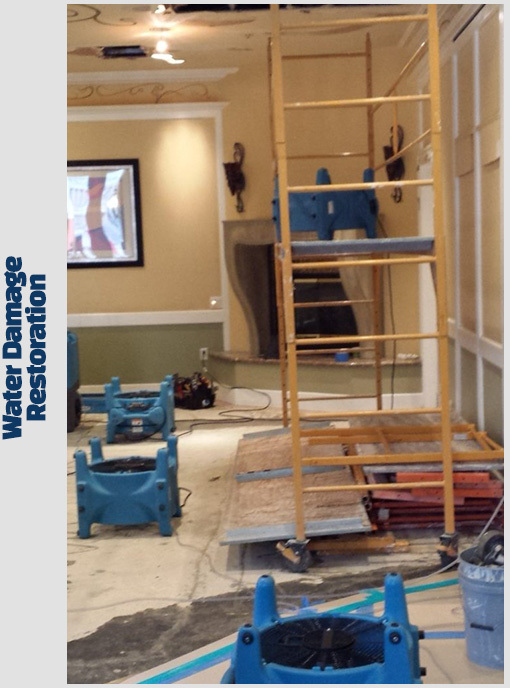 Water Damage Restoration Atlanta. Do It Right. There are many things to deal with following a disastrous flood. How long does the cleanup usually take? Where will I stay in the meantime? Will my homeowner’s insurance cover the cost for a complete restoration? Should I be concerned about my health? If your Atlanta home or business suffers water damage, you’re probably wondering if you need to actually hire a water damage restoration Atlanta expert. Is there a certain amount of damage that’s necessary before you need to call a professional? What are the main benefits of hiring water damage experts? Whether your home is damaged due to flooding, a sewage backup, or a broken waterline, you need expert water damage restoration services if the target area is exposed to water more than 24 hours or if the area itself is substantially large in terms of size. In fact, you could significantly reduce your overall losses and avoid any long-term issues such as dangerous mold or structural damage in addition to experiencing other key benefits as well by hiring a pro. Some homeowners make the mistake of not taking water damage seriously. Later on, however, they can pay a heavy price. At first, eliminating all the water from the home may seem simple enough. But, the negative consequences can have a long and harmful effect. Here are a few very important reasons why any homeowner should seriously consider hiring an expert for their water damage restoration issues. Sometimes it’s hard to figure out whether or not your appliances, furniture, dry wall, or wall-to-wall carpet is salvageable or needs replaced following a flood. But, an expert in water damage restoration can assess both your possessions and the situation itself in order to give you a professional opinion on what can and cannot be saved. A water damage restoration expert technician has all the necessary tools and training it takes in order to quickly and professionally eliminate any standing water in addition to removing water from furniture and/or carpets so they can properly dry. In the case of water damage, time is a critical factor since it can quickly soak into your home’s structures, walls, and floors. One of the main advantages of hiring a water damage restoration expert is the fact that they can perform every step of the process from start to finish, which includes both the cleanup and repair. Doing the cleanup process yourself would inevitably take a great deal of time, not to mention the extra stress you would undoubtedly have to deal with. Keep in mind that most water damage restoration experts have an entire team at your disposal in order to efficiently and quickly restore your home back to normal. This allows them to address many different aspects of the damage at the same time while also preventing any secondary damage to the contents and structure of your home as well. Experts in the water damage restoration business have a great deal of experience when it comes to dealing with the insurance side of water damage in the home. They can help you document all your losses in addition to helping you get a fair and reasonable settlement from your insurance provider. Also, a water damage restoration expert can assist you in providing proof of all the damages incurred in the event of a dispute. Besides quickly restoring your home following a flood, a water damage restoration expert will help prevent the growth of any mold or mildew in your home by quickly and efficiently eliminating any excess water before it has a chance to start forming. If, however, any mold does begin to grow in your home, an expert can quickly address it with industrial-grade cleaners and disinfectants in order to ensure it doesn’t pose any further danger to you or your family members or pets. Mold is a known toxin that can present several health risks. Therefore, it’s best to elicit the help of a professional who knows how to take care of any water damage issues before it starts to progress into a more serious secondary form of mildew, mold, or fungi. By far, the main benefit of hiring an expert in water damage is to eliminate the burden and stress of dealing with it yourself. Most people don’t realize how much time, energy, and work it takes to restore their home after a flood. But, an expert in the field has all the necessary skills and tools it takes to both identify and address the damage in order to ensure the integrity of your home. Because there are multiple aspects to consider following a flood, let the water damage restoration Atlanta experts help you get your home back on track as quickly and efficiently as possible.